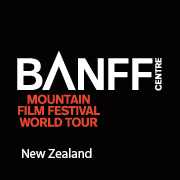 The world's best mountain films from the Banff Mountain Film Festival World Tours. Check out the line up of movies for the night. On the day please bring proof of your ticket purchase and NZAC membership card to show on entry. You can show your ticket digitally via your smart phone/device, or print your ticket off from this site.